World famous Glow Worms here at Mount Tutu Eco-Sanctuary, near Tauranga, in the Bay of Plenty, New Zealand. 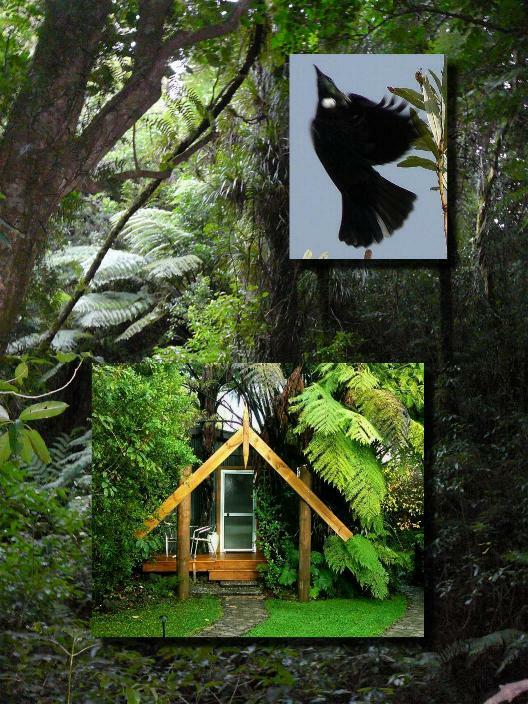 Mount Tutu Eco-Sanctuary named as one of the "Four of the best Eco-getaways from The 2011 Organic Explorer, New Zealand" by the New Zealand Herald National Newspaper! Mount Tutu Eco-Sanctuary named as one of the "10 of the best eco-accommodations in New Zealand" in August 2009 edition of "Wilderness" Magazine! As Mount Tutu Eco-Sanctuary is a Protected Conservation Area, all access needs to be prearranged by appointment. Bookings are only taken by email or phone. The gardens are not open for casual visitors and the Glow Worm Tours are exclusive to staying guests.